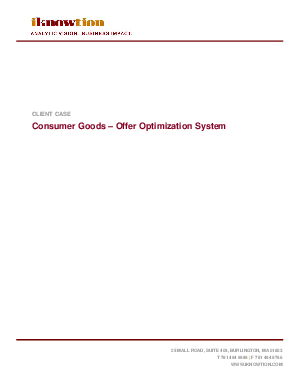 This Fortune 500 consumer goods manufacturer needed a data-driven approach for allocating customer incentives (i.e. offers) to meet their sales and profitability goals. iKnowtion developed an analytic solution that determines the optimal offer for each customer in a segment in order to reach the maximum achievable sales or profit for a given campaign.